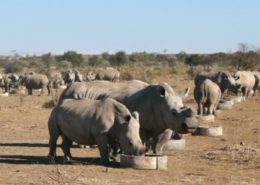 Trading Ideas provides a space for everyone working on the illegal and unsustainable wildlife trade to share information, exchange knowledge and connect with one another. 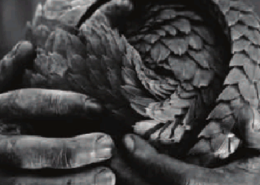 We’d be happy to share your wildlife trade work or highlight your event with our network. 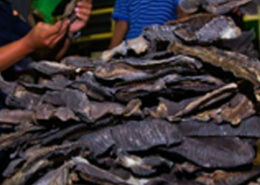 How do we Understand Illegal Wildlife Trade? 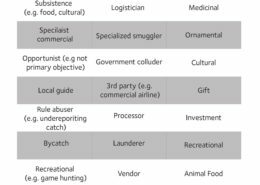 http://www.illegalwildlifetrade.net/wp-content/uploads/sites/5/2017/04/1.Phelps_Table-page-e1516892614590.jpg 2613 1736 testuser http://www.illegalwildlifetrade.net/wp-content/uploads/sites/5/2017/07/IWT-2.png testuser2017-04-26 11:11:372018-05-24 09:44:30How do we Understand Illegal Wildlife Trade? 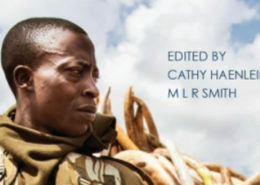 Trading Ideas, the newsletter of the Oxford Martin Programme on the Illegal Wildlife Trade is edited by Nafeesa Esmail with advice provided by Professor E.J. Milner-Gulland. We hope that you will share your feedback and contributions as Trading Ideas continues to grow and develop, so please contact us. If you’d like to receive quarterly e-newsletters of Trading Ideas, please subscribe to our Mailing List. Read the most recent Trading Ideas newsletter, and see here for previous issues.